Saturday, December 2, 2017, 5:00 p.m. – 6:00 p.m.
We celebrated anniversaries throughout 2017 on Discoveries from the Fleisher Collection: the 100th of the births of Robert Ward and Richard Yardumian, the 150th of Charles Koechlin and Wilhelm Peterson-Berger, the 200th of Niels Gade, and the 300th of Johann Stamitz. Last month we observed the 500th anniversary of the Reformation, which inspired Bach and Mendelssohn. But we thought we’d hear music anniversaries, too, so today we look at the 100th birthdays of three quite different orchestral works. The United States would enter World War I in 1917, but the war had already raged in Europe for three years. Neutral Switzerland was armed to the teeth along its borders. It was a center of intrigue and refuge (Lenin lived there before returning to Russia), but it saw no military action, so cultural life continued. In October, Volkmar Andreae left Zurich to conduct his Little Suite in Basel. He was director of the Zurich Tonhalle Orchestra and so respected that the New York Philharmonic had asked him to lead them after Mahler's death in 1911. He turned them down, and spent most of his life conducting and composing in Switzerland. Volkmar Andreae is little-known today, but his music is unfailingly charming. More than that, every piece is a gem, has real personality, and owes its sound to no one else. The recording on our program is conducted by Marc Andreae, Volkmar's grandson. Heitor Villa-Lobos, the leading classical composer of Brazil, if not all of Latin America, may be the most prolific composer of the 20th century. Larger than life, he composed as easily, it was said, as others breathed. All styles and forms of music flowed out of his pen, and an early interest in Brazilian folklore stayed with him. 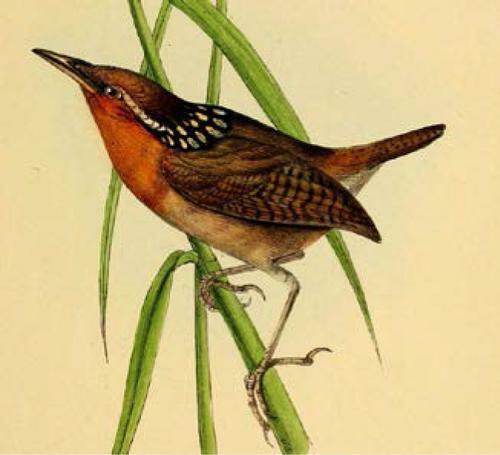 He tried unsuccessfully to interest Diaghilev's Ballets Russes in Uirapurú, which is the name of a Brazilian wren, seldom heard and even less seen. The ballet is the story of Brazilian Indians who, hearing the bird in the forest, try to catch it. Headstrong young men drive off an old man playing a flute. A maiden sees and shoots the uirapurú with an arrow; the bird changes into a young man; the old man returns, shoots him with an arrow, and the youth turns back into the bird and flies away. Along with a soprano saxophone in the sumptuous score, Villa-Lobos depicts the old man's music with something you probably have never seen—the violinophone. Sporting a gramophone-like horn, this odd-looking hybrid sounds surprisingly lovely, and it replaced actual violins in the earliest days of recording because of its projection. Uirapurú seems to be heard as infrequently as its namesake, so we're glad to bring it to you now. At the other end of the popularity scale is surely the most-played classical work of 1917—in fact, the "Classical" Symphony of Sergei Prokofiev. Not too long out of conservatory, he was already establishing himself as a leading composer, with muscular solo piano works and his riveting graduation piece, the First Piano Concerto. He also already had the ear of Diaghilev and would soon have ballet success. He composed his first symphony, he said, to be what Haydn might write were he alive. Propulsive and graceful by turns, it bristles with melody, audacity, ingenuity, and good humor, just like Papa Haydn. Prokofiev helped kick start neoclassicism in 1917, and jumping back to Discoveries today, we'll look forward to what 2018 has in store!